Invest in a Getaway. It will change your marriage. Why are retreats worth considering? While coaching, counseling or vacationing can bring new energy to your relationship, there is nothing quite like the health and progress an intentional couples retreat will bring to your marriage. Curt and Rhonda Hamner have coached, counseled and lead marriage weekends for over thirty-five years! They bring the best of biblical foundations and research-based, practice tools to enrich your private conversations as husband and wife about the road ahead. Dreams too often become a remnant of our youth. DreamMaster Weekends are a guided discovery experience that will encourage you and your spouse to think about the future, and remember the dreams from your past. Your time will be filled with romance, fun and the opportunity to invest in your relationship by dreaming together. Overwhelmed by the complexities of life, couples often find their ability to think and dream of the future more challenging over time. Refocus and Rekindle equips couples to have those conversations and dream about what God has for them in the next season of life and marriage. Curt and Rhonda provide guidance for empty-nesters and couples going through a new stage in life introducing tools that will empower them to freely and safely discuss plans for the seasons ahead together. Located on a secluded, private cove on wild and beautiful Santa Catalina Island close to Avalon, CA, Campus by the Sea is Southern California's Christian Camp and Conference Center with the most unique setting. Between Two Trees is partnering with CAMPUS BY THE SEA, CATALINA for two weeks of Family Camp. Curt and Rhonda with be hosting each week! 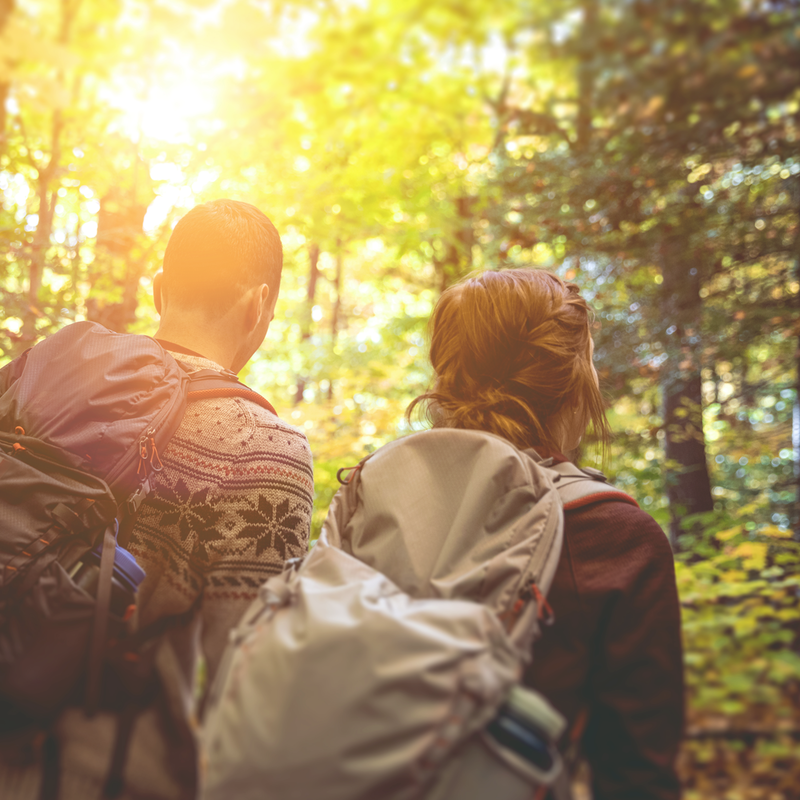 The Wild Edge Couples Retreat is designed to set the stage for husbands and wives to encounter each other through carefully guided Wild Edge experiences and community conversations about growing strong marriages based on Scripture and practical tools. Escape from the craziness of life rediscover the wildness of marriage! In addition to scheduled retreats, Between Two Trees also provides ongoing custom retreats for couples who are in ministry, couples currently receiving coaching, and small groups looking for a bespoke marriage retreat experience. A $500 deposit is required for Speaking at your Retreat. With decades of ministry experience, the Hamners realized that they could be part of the answer to the question, “Who shepherds the shepherd?” These retreats happen at Heart’s Ease, the Hamner’s mountain home. These invitation-only retreats are an opportunity for couples to enjoy some focused time away from the normal routines of life, intentionally working on and working through the rough patches in their marriage in the safe context of a coaching environment. These retreats happen at Heart’s Ease, the Hamner’s mountain home. PLEASE DON’T HESITATE TO REACH OUT TO US IF YOU’D LIKE TO LEARN MORE ABOUT HOW YOU CAN CREATE OR JOIN A RETREAT!